Evans Gambit Declined - Chess Gambits- Harking back to the 19th century! With 4...Bb6, Black declines the gambit and decides to keep it solid, denying White an easy route into the sort of attacking chances that White normally develops in the accepted lines of the gambit. However, unlike many other Open Gambits, declining the Evans does not offer Black easy equality. White's most obvious response, originally favoured by Captain Evans, is to kick the c6-knight and then go after the e5-pawn, but it turns out that the idea is tactically flawed. The usual response is 5...Na5, intending 6.Nxe5 Nh6 (defending f7 and threatening ...Bb6-d4, forking the a1-rook and the e5-knight) 7.d4 d6. 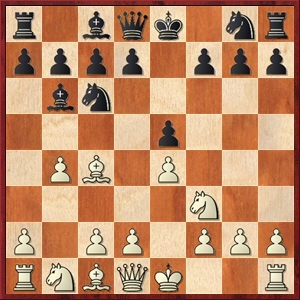 With multiple pieces attacked, White ends up having to sacrifice a piece for insufficient compensation. White's best follow-up is probably the clumsy-looking 6.Bd3, preserving the light-squared bishop and forgoing the win of the e5-pawn, which is probably about equal. Black also has 5...Nd4, intending 6.Nxe5? Qg5, but after 6.Nxd4, White has better chances of getting a slight advantage. This is White's best way of meeting the Evans Gambit Declined, threatening to win the bishop on b6 with a4-a5. Therefore, Black normally clears the a7-square for the bishop by moving the a7-pawn. 5...a5 is slightly dubious: White plays 6.b5, diverting the c6-knight away from the defence of the important d4-square, and White gets to establish a strong centre with d2-d4. Therefore, 5...a6 is the strongest defence. White's most aggressive follow-up here is to continue with 6.Nc3 intending 7.Nd5 in most cases. This involves a sacrifice of the e4-pawn, but White gets good compensation for the pawn if Black takes it, due to pressure down the e-file and on the kingside. Therefore Black's most reliable option is 6...0-0 7.Nd5 Nxd5 8.exd5 Nd4. This equalises for Black, so I suggest that if White wishes to play this line, White should consider varying the move-order with 7.0-0 and only then 8.Nd5. White has decent chances of an edge if Black doesn't take on e4, and gets reasonable compensation for a pawn following 7...d6 8.Nd5 Nxe4. White's most reliable way to get a slight advantage in the Evans Declined is to go for a slow build-up with 6.c3 followed by d3, Nbd2 and 0-0, gaining space on the queenside and leaving Black lacking counterplay. However, this may not be to the taste of many fans of the Evans Gambit, so in the illustrative games and analysis section, I have included extensive coverage of both 6.c3 and 6.Nc3. 6.Bb2 is another positional try, which intends to support a b4-b5 push on the grounds that if Black exchanges pawns on b5 and opens up the a-file, then White's a1-rook is guarded by the bishop on b2. But it is less likely to give White any advantage, e.g. 6...d6 7.b5 axb5 8.axb5 Rxa1 9.Rxa1 Nd4.